Security cameras are installed in outdoor and indoor environments. Most of the outdoor cameras are installed at distances much longer than those supported on the copper cable. Fiber optic cables are used to transport videos. The analog cameras require either multimode or singlemode fiber. The cctv video fiber product line is designed for most common fiber applications. 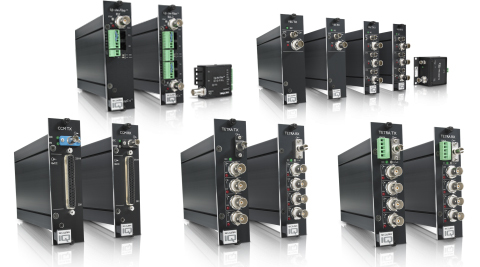 These products can multiple cameras over one fiber using wavelength division multiplexing (CWDM) technology. These devices also offer maximum flexibility and scalability by combining any number of video, data, and audio channels. In addition, it also offers users the ability to remotely manage optical wavelengths and overall system performance.